This page is about Disability Retirement and COPD. COPD covers a variety of issues like: (google it and list a few here). 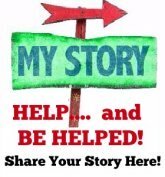 In time, I hope others will post their story so that visitors can learn from your experiences. Thanks! I am from California and am a 57 year old female. For 27 years I worked in Social Services and was a supervisor for welfare fraud. I have been retired for 18 months and have COPD. I have always had severe asthma and it has slowly progressed. I am still using medication only, no oxygen. The major problem with my disability is that it does not provide medical coverage. If I did not have a partner to provide it I would not have medical coverage as it would take more than 50% of my pension to cover it. I was a County employee and we did not pay into Social Security or MediCare and could not voluntarily pay for it. I felt I was prepared somewhat, paid off some bills and refinanced my house for a lower rate, However I had no savings for emergencies or any extra money for fun. I cover my bills just barely but if I have an unforseen expense or buy something I'd like then I run short on home maintenance bills. Luckily my partner had the ability to work overtime for some months and help a bit with my expenses. I net about $2500 a month but used to earn $55,000 annually. I do live a simple life at home, enjoying reading and television and the computer. I am fortunate to have a swimming pool so I look forward to floating in the pool during summer until I am on full time oxygen and won't be able to do that any longer. I don't belong to organizations or attend church or see friends regularly. A lot of work acquaintances play Bunco and I sub for the group a few times a year. They also have a retirement get together from our work department twice annually and I attend that. I go camping once a year with a group from work. No daily schedule, just what I please and somewhat dependant on my health that day. I had an old dog that died shortly after I retired so I adopted 2 puppies. They keep me busy and I still have the stamina for them. As I get sicker, they will be growing and slowing down along with me and they are good company to me. Their future is taken care of if something happens to me. The dogs give me someone to talk to during the day and I sometimes take them to the dog park. At the dog park I talk to other people; mostly retirees who bring their dogs out for exercise and social interaction. Provides interaction for both dog and human, with a common bond that joins us together for talking.